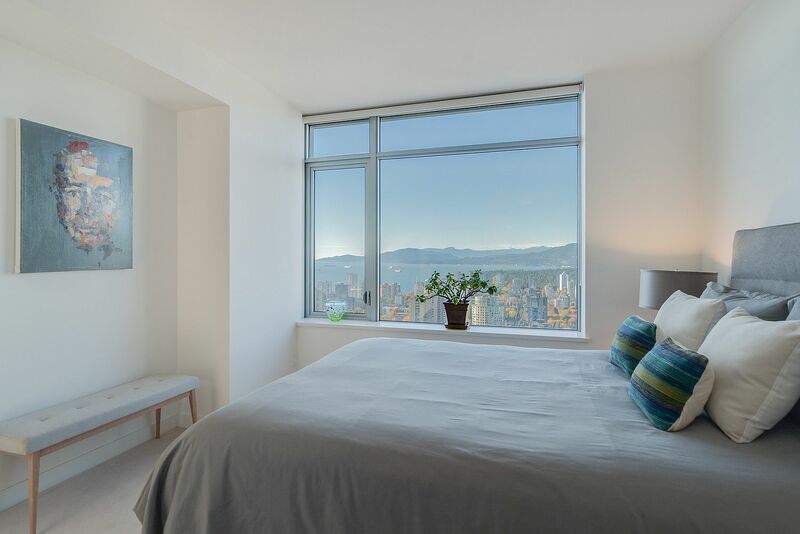 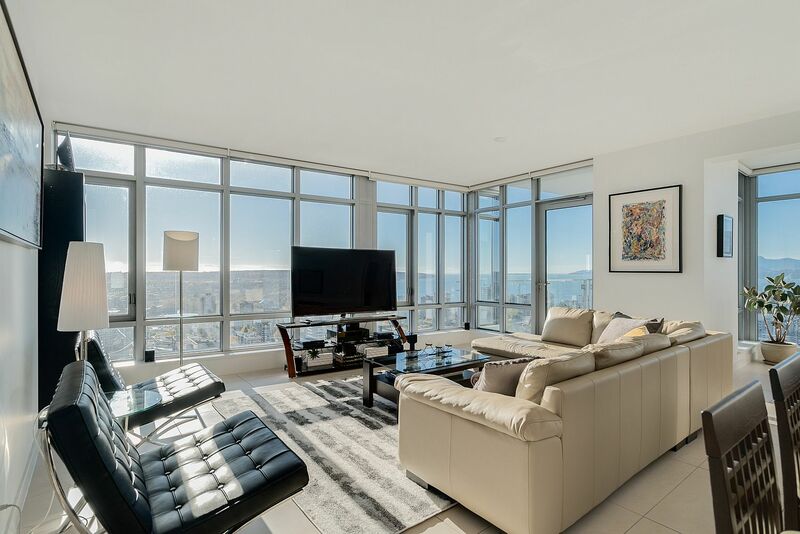 It is not very often that one comes across an urban apartment with mesmerizing views of the ocean and Bay area in the distance, lovely mountains and islands beyond. 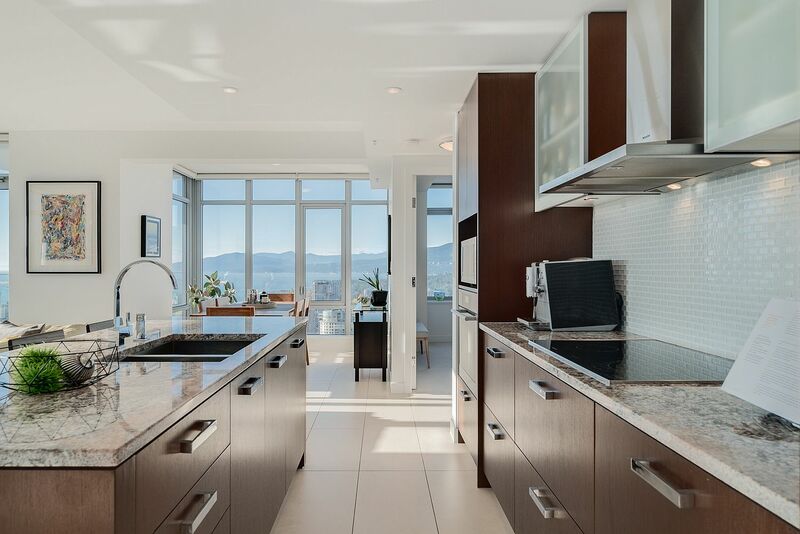 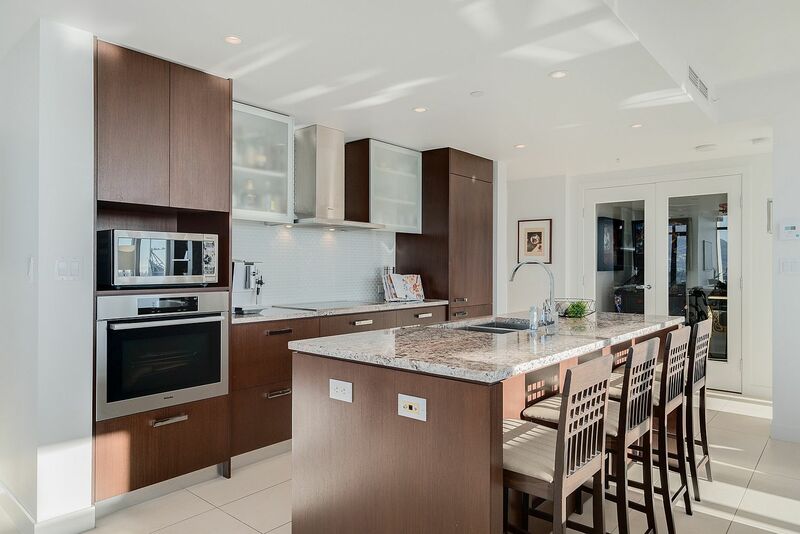 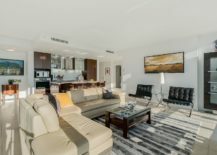 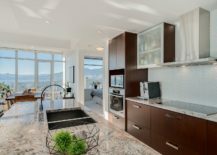 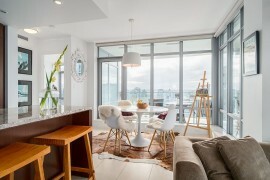 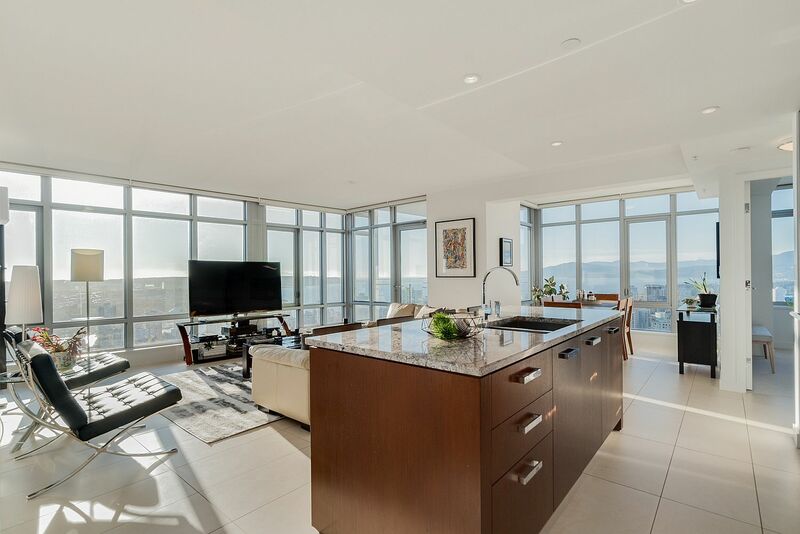 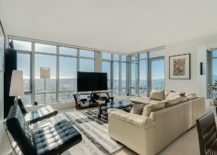 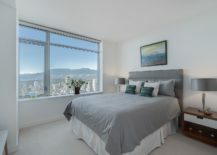 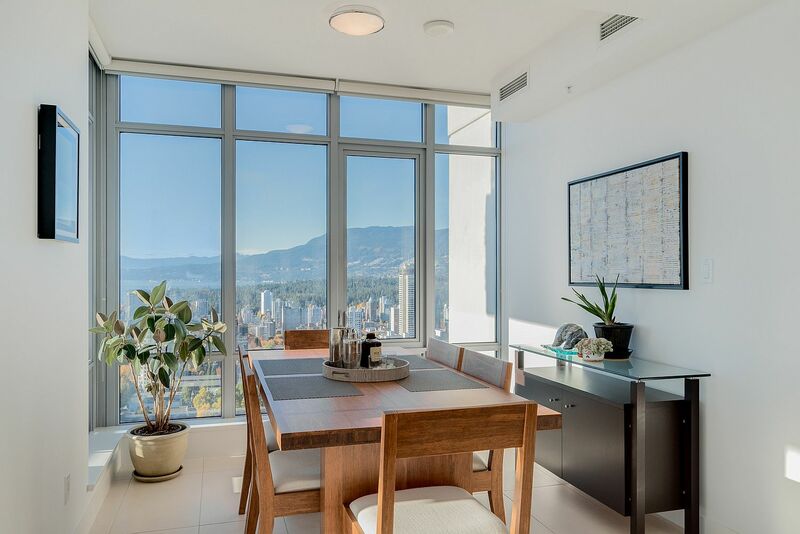 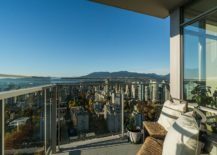 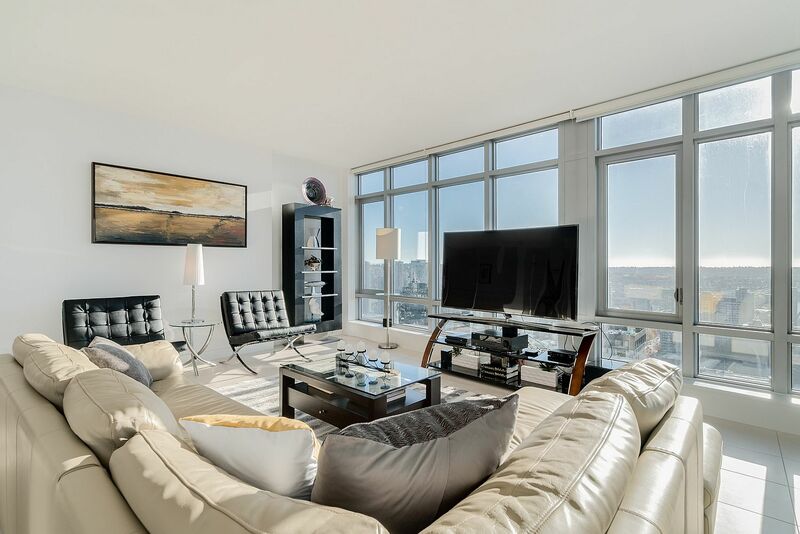 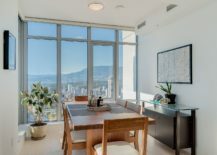 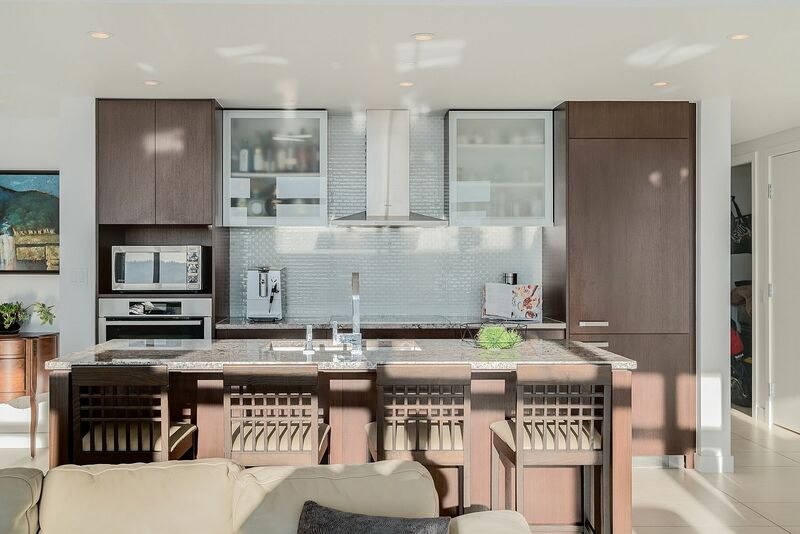 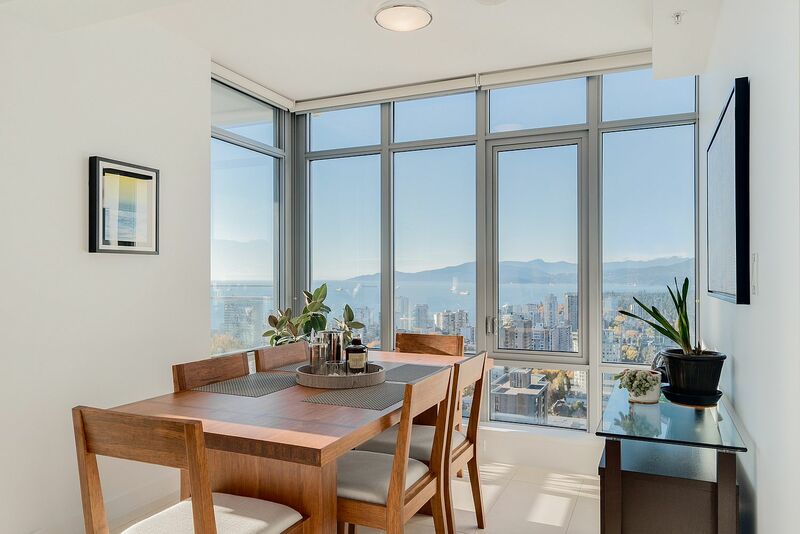 Nestle don the 36th floor of the contemporary Patina high-rise in Vancouver, this luxurious condo offers all that and even an opportunity to enjoy lovely sunsets as you relax and rejuvenate after a long, hard day. 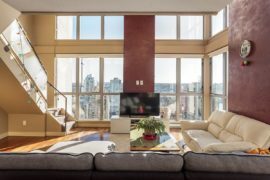 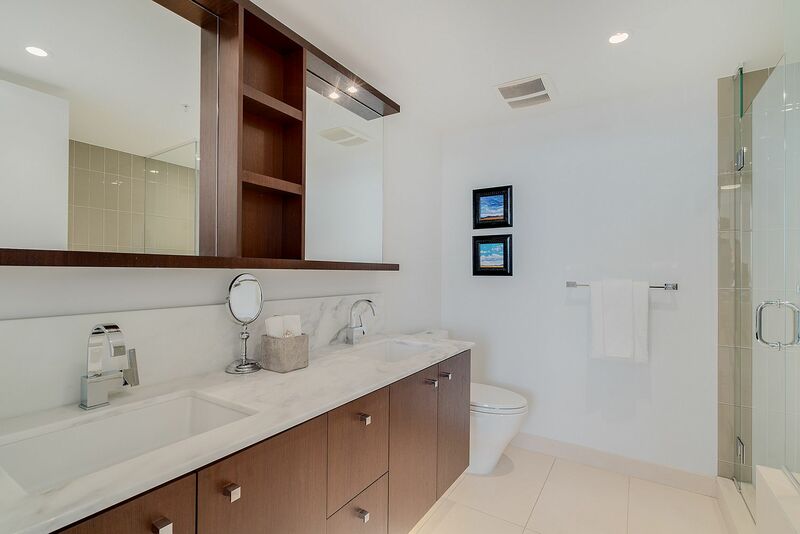 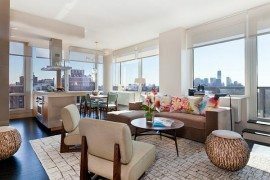 The two-bedroom and two-bathroom corner suite offers 1272 square feet of area along with a 58-square-foot balcony that adds to its exquisite appeal. 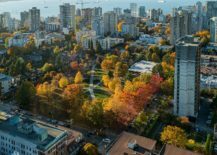 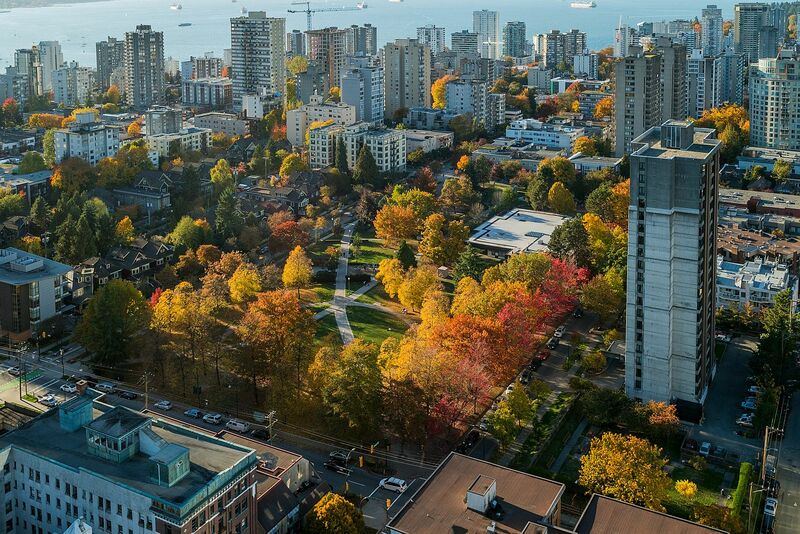 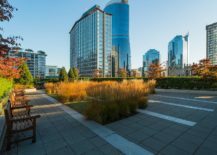 Yet, its true allure lies in both the relaxing living environment that it offers and an opportunity to escape mundane city rush even as you enjoy the many benefits of urban living. 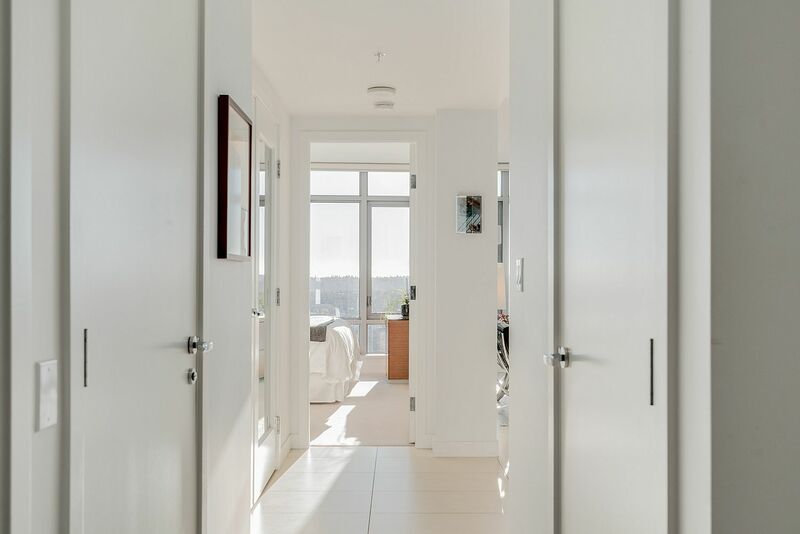 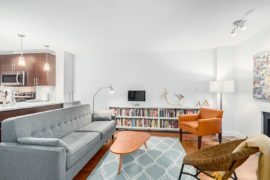 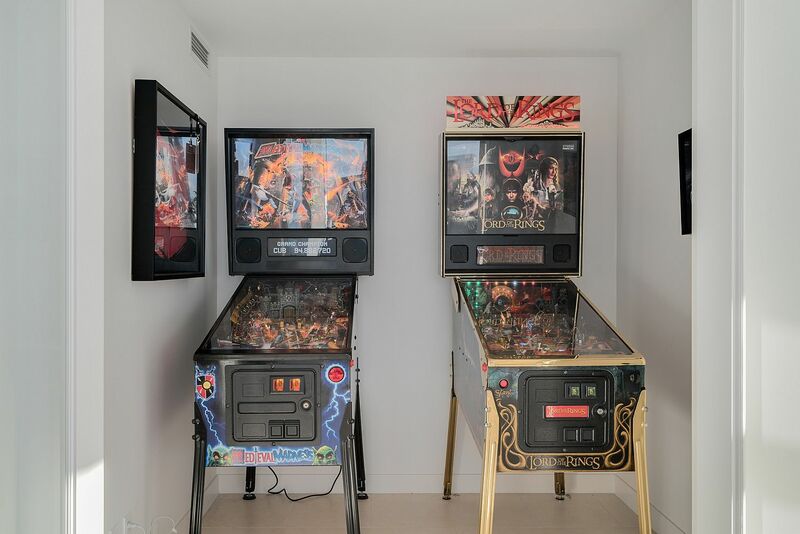 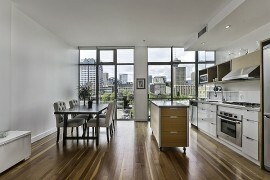 Despite its modest size, the apartment feels a lot more spacious thanks to the use of a pristine white backdrop and floor-to-ceiling glass windows that usher in ample natural light. 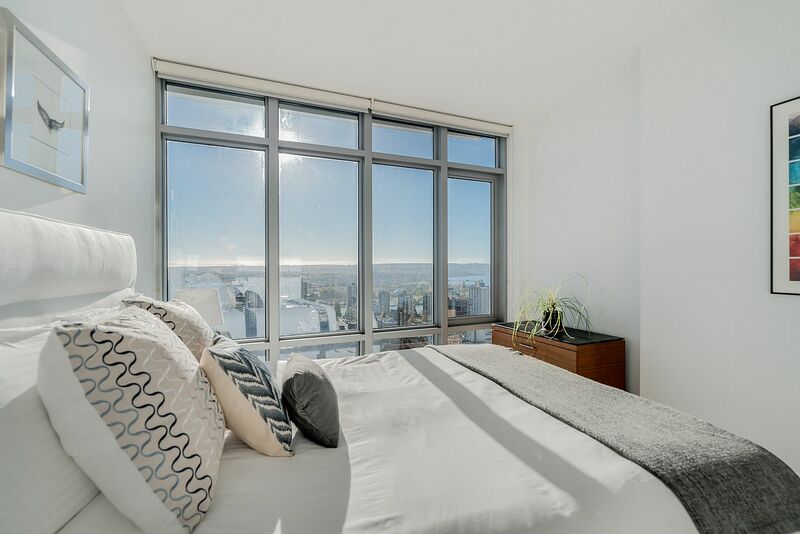 The expansive use of windows also brings in the spectacular view outside and gives the understated living environment a captivating ambiance. 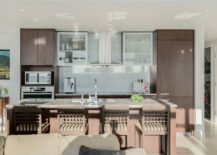 Move past the classy living room and one comes across the modern kitchen with wooden cabinets, natural stone counters and kitchen appliances from Miele that make your life a lot easier. 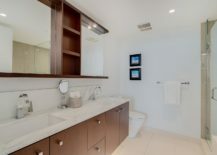 Both the bedrooms and the bathrooms embrace the color palette used in the living area with a hint of minimalism shining through. 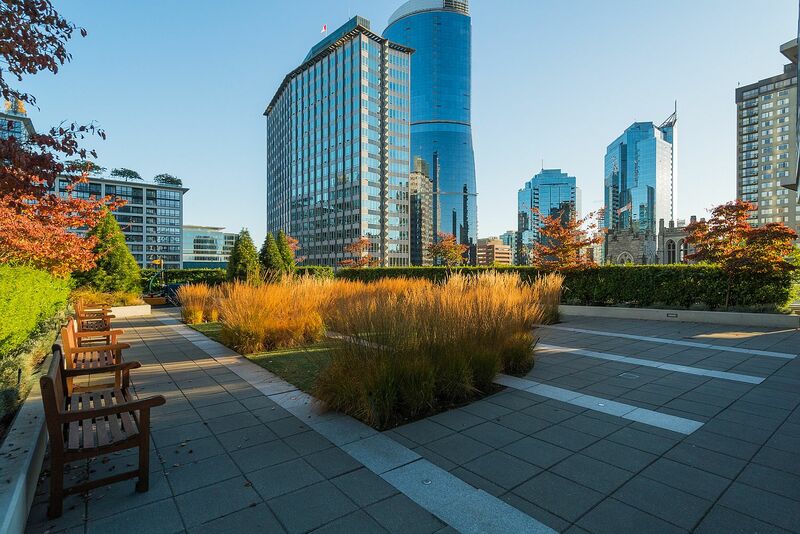 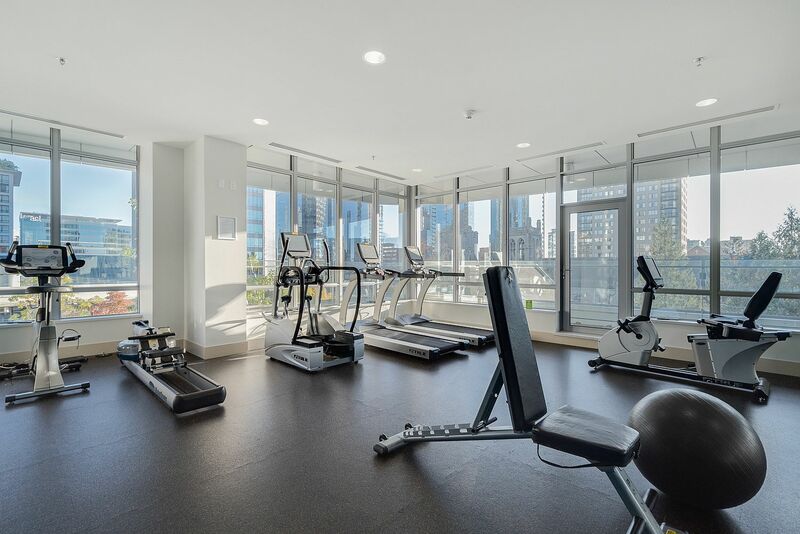 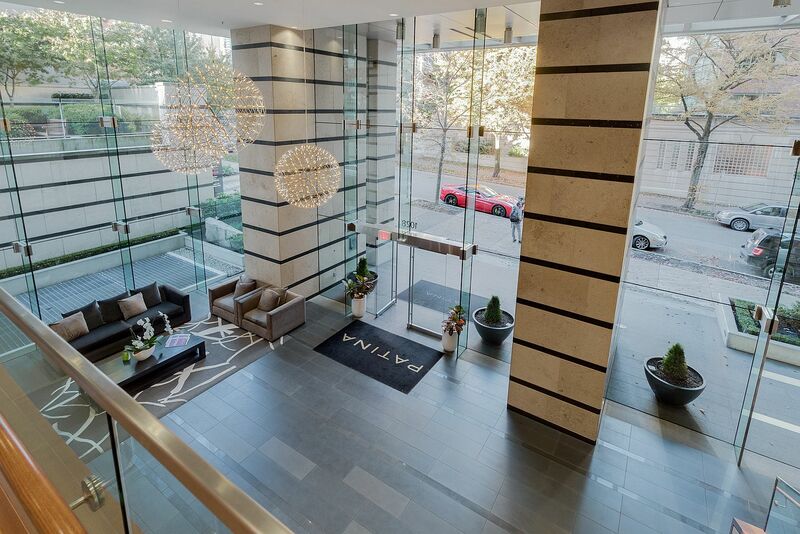 Living at the Patina also offers additional benefits that include a fully equipped gym, outdoor patio, business lounge, full-time concierge and a host of other amenities. 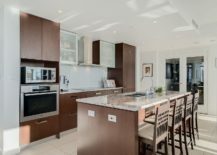 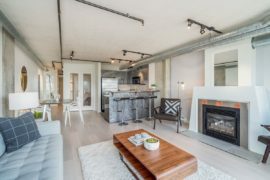 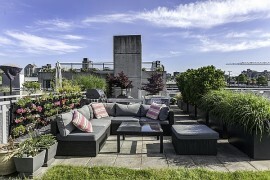 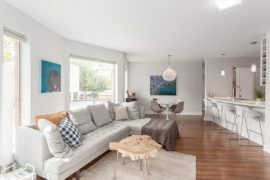 Listed Albrighton Real Estate for $2,049,800 this Vancouver home has it all!